One look at London's skyline, and it's clear that the city is shifting east. Once a run-down wasteland, East London now glistens with gardens, greenery, and state-of-the-art construction. Skyscrapers punctuate the skyline while a tangle of new Tube lines makes it a quick and easy trip from the center of town. Much of the revitalization is thanks to the 2012 Olympic Games. But even after the summer games were safely tucked away in the record books, their legacy lives on in East London. While definitely not Jolly Olde England, this area — stretching from the Olympic Park south to the bustling Docklands district — offers a break from quaint, touristy London and a refreshing look at the British version of a 21st-century city. 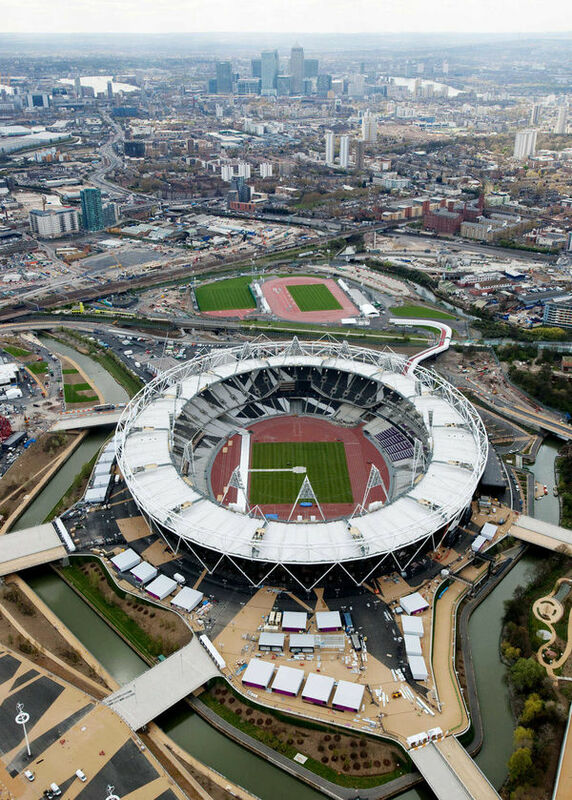 The gleaming new Olympic Park is located about seven miles northeast of downtown London in an area called Stratford. Filling the Lea Valley, Stratford was once the site of derelict factories, mountains of discarded tires, and Europe's biggest refrigerator dump. But in preparation for the Olympics, this area was gutted and rebuilt. Half a million trees were planted, and 1.4 million tons of dirt were cleansed of arsenic, lead, and other toxic chemicals — a reminder of this site's dirty industrial past. Olympic Park is huge — bigger than Hyde Park/Kensington Gardens. It's also quite beautiful, laced with canals and tributaries of the Lea River. At the heart of the complex is a gaggle of ultramodern construction, including the 80,000-seat Olympic Stadium; the Aquatics Center, with its swooping wave-like roofline that's meant to suggest a dolphin; and the 350-foot tall Orbit viewing tower, made of more than 1,800 feet of spiraling tubular red steel. Now that the Games are over, Stratford will evolve as both a tourist destination and a symbol of modern-day London. While some buildings, such as the basketball and water-polo arenas, are being dismantled, others will gain a second life. For instance, Olympic Stadium will become a more intimate venue with 60,000 seats while the velodrome will be turned into a center for community use. The Olympic Village dorms will become units for public housing. The commercial zone, Stratford City, is the biggest shopping center in Europe, while the Olympic Park area is now a public space called the Queen Elizabeth Olympic Park. Just south of Stratford, the Docklands, is another reinvigorated East London neighborhood. Back when Britannia ruled the waves, the Docklands boasted the world's biggest shipping harbor, with a prime spot on the Thames River. Then, after being destroyed by German bombers during World War II, the Docklands became a dangerous no-man's-land. Until a generation ago, local surveys ranked it as one of the least desirable places to call home. It's said that for every Tube stop you lived east of central London, your life expectancy dropped one year. These days, the Docklands is a thriving center of business and my nomination for Europe's most impressive urban development. Wandering around this area — filled with skyscrapers, subterranean supermalls, trendy pubs, and peaceful parks with pedestrian bridges looping over canals — is like discovering a slick, futuristic version of Manhattan with an English accent. My favorite time to visit is at the end of the workday, when the area comes alive with office workers finally ready to relax and let loose. Despite its modern vibe, the Docklands retains remnants of the past. You can still see the 19th-century brown-brick warehouses that were once used for trading sugar and rum. 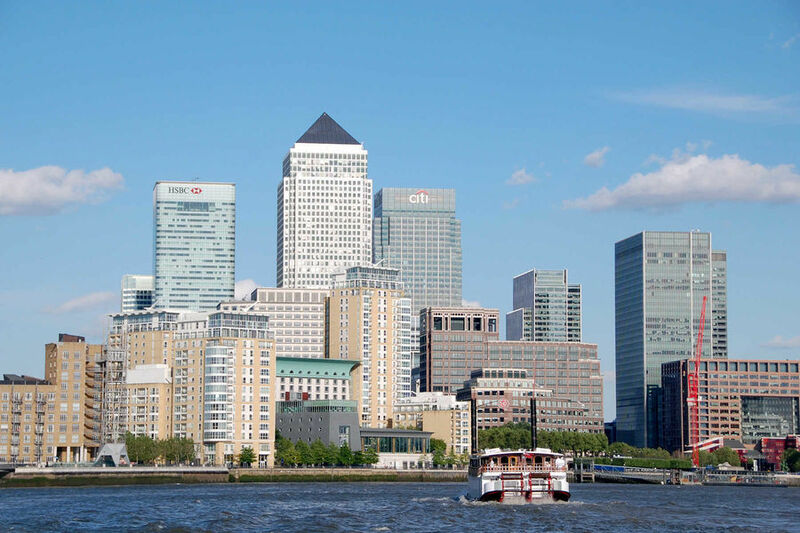 Today they host a row of happening restaurants along with the excellent Museum of London Docklands, which takes visitors on a fascinating 2,000-year walk through the story of commerce on the Thames. Between its historic neighborhoods, centuries-old churches, and blockbuster museums, London is filled with can't-miss sights. 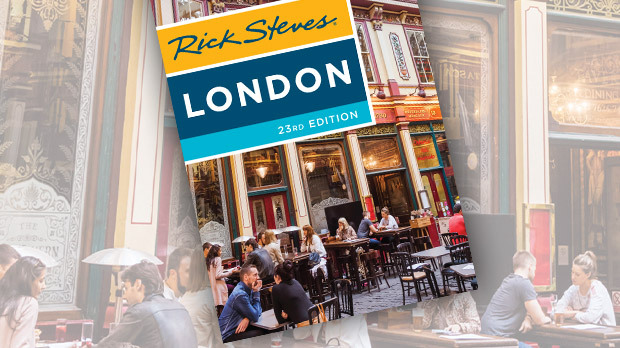 But if you want to say you've seen today's London, head east for a little modern history — and a fresh and contemporary take on this multilayered city.